Philips Norelco OneBlade Face + Body trims, edges and shaves any length of hair, even on body. 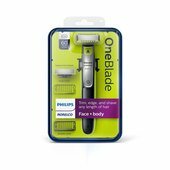 OneBlade Face + Body includes a blade for your face, and one with a removable skin guard for your body. 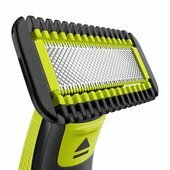 The unique OneBlade shaving technology integrates a fast moving cutter (200x per second) with a dual protection system to give you an efficient comfortable shave on longer hairs. OneBlade does not shave too close, so your skin stays comfortable. 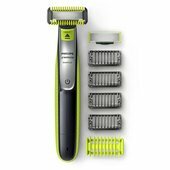 Click on one of the trimming combs for face or body for a fast and even trim. The Lithuim Ion battery delivers up to 60 minutes of run time after a 4 hour charge. Forget about using multiple tools. OneBlade Face + Body does it all and can be used wet or dry. Pack includes: 1 handle, 1 blade for face, 1 blade for body, 4 stubble combs for face, 1 skin guard for body, 1 body comb, 1 power charger, 1 protective cap. 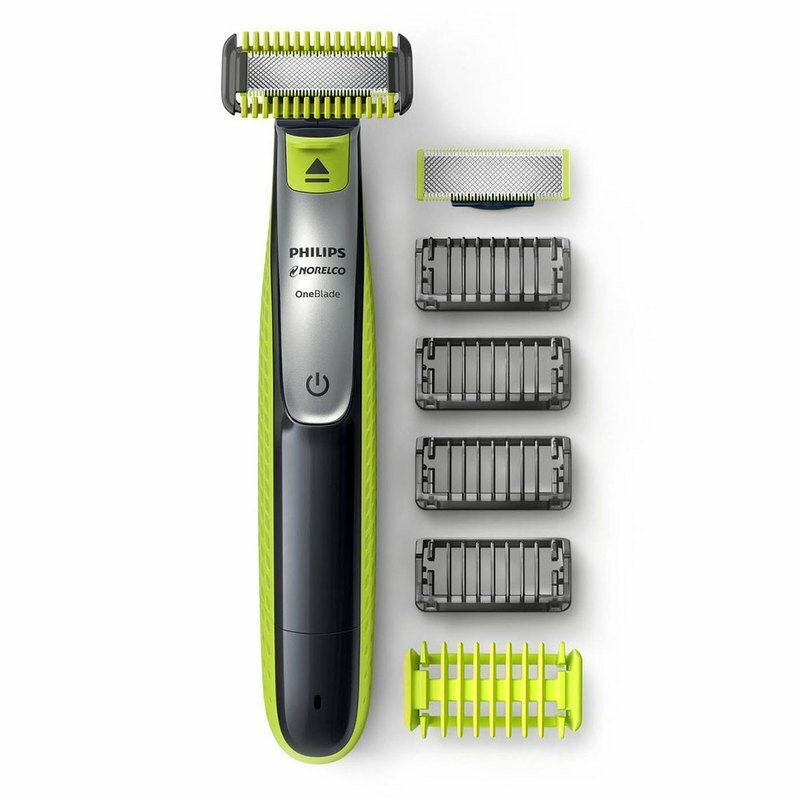 Rechargeable OneBlade Face + Body can trim, edge, and shave any length of hair. Includes 2 blades, 1 for your face and 1 for your body. Click-on skin guard for extra protection on sensitive areas. Includes 4 stubble combs + 1 body comb for an even trim on face or body. Rechargeable Li-lon battery delivers 60 minutes of constant performance. 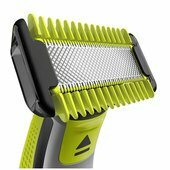 Trimmer for face, beard, hair and body.